Driving with us since September of 2017 with her best friend Candy being another incredible lady driver encouraged Ramona to come drive with us. They are a tag team & have the Buddy system down to a pat to take care of each other and all fares covered to insure a safe ride anywhere. 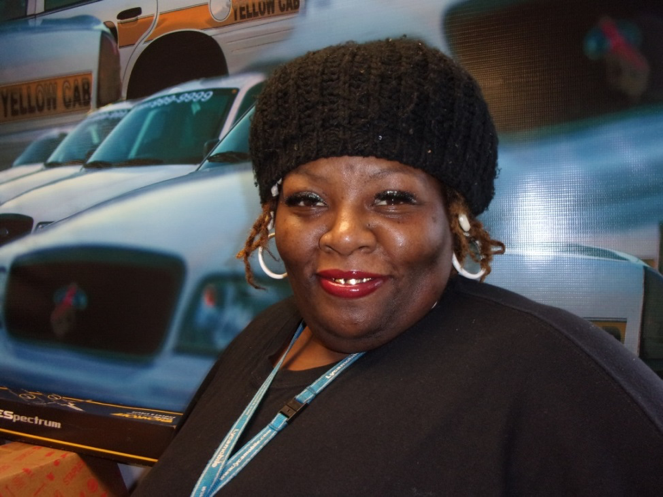 A Beauty in her techniques of being impeccable & a passionate driver for many here in Leon County with the Club Hoppers, Medical or a Day of Shopping. Ramona has been Married 8 years with 2 children and 4 grandchildren. In Ramona’s eyes everyone has something going on in their lives & she is a blessing to listen too many. Thank You Ramona for being our driver. This entry was posted in Driver of the Month, Uncategorized. Bookmark the permalink.